Mecze WBC można obstawiać tutaj. Od wczoraj obowiązuje nowy, handicapowy system typowania. And finally If you want to bet on DRAW (x) it means you bet on win by barbos EXACTLY by two games (16:14 but also 20:18 (rules of win by two games difference)). 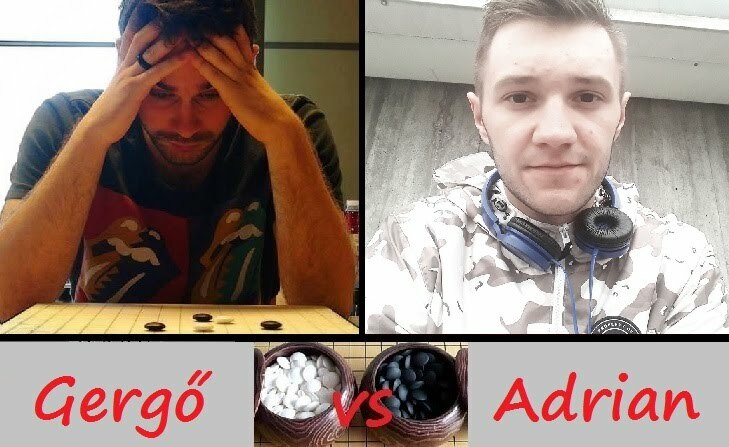 Don't miss a great Havířov derby tonight - Ondřej Nykl, also known as Ondik, against Adam Horvath, also known as Anakinn! The random draw of the WBC paired them in the first round of the double elimination stage, and they play tonight at 21:00 Warsaw time. Ondik was on the very top of the world ranking list before he was removed for being inactive. Many people were very curious how he would do in the WBC this season, and he proved to be very strong, confidently winning his group. Anakinn is another quite strong player from the same Czech city and finished in the top 16 last season. In sports, derbies are generally battles in which both sides are especially motivated to win, and the match tonight is unlikely to be an exception. And there will be another very interesting WBC match tonight: At 23:00 Warsaw time Luká Souček and Bogdan Brachaczek will decide who of them stays in the upper bracket! Luká Souček is a talented young player from Czech Republic and well known as Boneslash. He has a very positive personality and plays gomoku at a very good level - in particular, a week ago he finished 5th in the Hungarian Gomoku Meijin Open, above such strong masters as Pavel Laube, těpán Tesařík, and Ilya Katsev. Bogdan Brachaczek, also known as BBJ, is a very strong blitz player from Poland. He has a very robust, speedy, and safe style that is appealing to many. Instead of trying to outcalculate or trick his opponents, he prefers to crush them by his speed. His victory in the blitz tournament of the Polish gomoku championship 2017 emphasises his great strength at blitz. To watch the match, go to http://www.playok.com/en/gomoku, click on "GUEST" (unless you want to register an account or use an already registered nickname of yours), change the playing room to "#300... dobrocin," click on the table with the nicknames wbcbbj and wbciwbtc, and enjoy the battle between a young talented Czech and a tough Polish blitz player! Tonight at 18:00 Warsaw time a very interesting WBC match will be played - Timo Ilu, also known as Rentimo, against Rudolf Dupszki! Rudolf is the gomoku world champion of 2015 and won the silver medal of the gomoku world championship 2017. He occupies the second line of the world ranking list with a rating of 1914 and is also strong at 1 min - the experts ranked him 6th among all WBC participants. Timo Ilu is possibly the strongest Estonian WBC participant. He is primarily a renju player and currently has a renju rating of 2178, with his top renju rating being 2440. Last year he successfully participated in the WBC and was able to eliminate such a strong player as Deafbat. Rudolf and Timo played last year in the 1/8-final stage of the WBC, and Rudolf won that match. Now that the opponents already have such an experience of playing against each other, they well may draw some conclusions from that battle and better adapt this time, and this makes tonight's match even more interesting. Which decision would you take? 1. Barbos did not come on Sun 18 Mar to play his match against Takaki, which was scheduled for 14:00 Warsaw time. 2. About 15 min after the scheduled start of the match, Andrey Litvinenko called Barbos, and Barbos said he thought the match was to start at a different time, and added he could play at 15:00 Warsaw time the earliest. 3. I checked my private correspondence with Barbos and found that I had told him the correct time of the match. There was absolutely nothing that he could use as an excuse. 4. Takaki strongly refused Barbos' offer, but offered Monday, 14:00 Warsaw time, which is 14 hours after the end of the round. 5. I immediately passed Takaki's offer to Barbos via Litvinenko, and Barbos immediately agreed. 6. Then we, the organisers, faced the choice between letting Barbos and Takaki play at 14:00 on Monday and giving Takaki a technical win. The latter decision would mean elimination of Barbos. 7. At 15:09 Warsaw time, Barbos made a public comment on the Russian gomoku discussion board to admit his mistake and apologise. 8. During the original match date negotiations, which were held on Thu 8 Mar, Barbos wanted to play well before the last day of the round, Sun 18 Mar, but Takaki insisted on playing on the last day, and Barbos agreed. 9. We never had any problems with Barbos in the WBC before, neither in the previous season nor in the current one. His opponents always easily arranged matches with him, and I do not remember him coming late to play, let alone missing a match. Various exemptions from the rules may be granted on request, e.g., a permission to play a certain match without a 24 h notice. To grant an exemption, however, we need to have a good reason and be sure that the exemption will not damage the interests of any other tournament participants. We decided to exceptionally let Barbos and Takaki play and correspondingly posponed the official announcement of the next round to about 15:00 Warsaw time. The good reason required by the rules is that both Barbos and Takaki wanted to play and that a played match is obviously better than a technical win. - Regardless of our decision, all pairs of the next round, except the pair consisting of Kedlub and the winner of the match between Barbos and Takaki, would already be known by the end of Sunday from the double elimination tree published by us long ago. People could already start negotiating match dates if they wanted to. The only affected person was going to be Kedlub, who would get to know his opponent about 15 hours after the end of the then current round, but this delay seemed to us to be extremely unlikely to cause any considerable inconvenience to Kedlub. - In view of the 24 h rule, no match of the next round could be played within the delay anyway, as we had not received any notifications about matches arranged for the period of those 15 hours. - About a half of the delay was night hours, during which people would simply sleep. - The tournament pace would not be slowed down, as the end date of the next round would remain unaffected anyway. On our website, we posted an announcement saying that the next round would be announced there on Monday at about 15:00 Warsaw time and that the pairs would be determined from the double eliminated tree posted by us long ago, and we indeed announced the next round at about the aforementioned time, after Barbos and Takaki played their match, which ended 16-10 in Barbos' favour. I also talked with Barbos to explain him the exceptional character of our decision and to strongly ask him to never miss his matches again. Barbos and Kedlub have already arranged their match. So which decision would you take? Walkower dla Takakiego. Zgodzili się rozegrać mecz danego dnia o konkretnej porze i tylko jeden z nich pojawił się w terminie. Since the beginning of the season there have been already three cases of position-related hints in the table chats of WBC matches. One hint was given by Alexander Misroshnichenko (see the decision on his case below), one by Szczepan Łukasik (see the decision on his case below), and one by a guest nickname. 1. No guest nicknames are allowed to watch WBC matches. 2. The match manager (i.e., the organiser managing the match) is free to preemptively not allow a risk nickname watch the match. Risk nicknames are those not known to the match manager to belong to a reputable player who is extremely unlikely to give position-related hints. Spectators are strongly advised to come under their WBC nicknames or nicknames recognisable by us or talk to us beforehand. 3. Technically, decisions 1 and 2 above will be enforced either by (i) kicking guest and risk nicknames out or (ii) locking the table and inviting spectators from the playing hall. The choice between options (i) and (ii) is up to the match manager. 4. From now on, the minimum penalty for giving a valid significant position-related hint is a one-year ban from watching matches, regardless of whether the hint has actually affected the game. Examples of significant position-related hints are: "Wsw," "Attack," "Play below," "h9." Depending on the effect of the hint, the penalty may be up to an indefinite ban from watching and playing. We apologise for the inconvenience and hope for understanding. The above measures are needed to protect our WBC participants. Come tonight to support your national team captain Piotr Małowiejski aka Angst in his WBC battle against Adam Horvath aka Anakinn! The match starts at 21:30 Warsaw time. Angst successfully led the Polish team to the first world championship title in 2016 and also captains Dark Team, one of the strongest Euroleague teams. He is also the Polish representative in the Euroleague committee and one of the main organisers of the upcoming World Team Gomoku Championship in Poland. All these facts highlight his great social and leadership skills and the huge respect earned by him from the Polish gomoku community. As a player, Angst is particularly known for his special opening, in which two black stones are placed adjacent to each other at the middle of an edge, and the white stone is placed at the opposite edge. The opening is now generally referred to as Angst's opening and often makes people confused by tricky threats. Angst played in about 40 live tournaments shown on Gomokuworld, starting more than a decade ago, and now is undoubtedly one of the most known Polish players. On Kurnik, Angst often plays one-minute gomoku in the Monday Blitz Evenings and is definitely a very experienced one-minute blitz player. Overall, Angst is a very friendly guy with a strong fighting spirit - a true Pole! And tonight he has a very strong opponent - Anakinn from Czech Republic, who eliminated such strong player as Furla last season. And only the winner of today's match advances to the next round. But there is a hope. Last season, Mikhail Lomakin from Russia was able to win against Anakinn by exploiting Anakinn's shape fluctuation and by showing creativity and a strong fighting spirit. Tonight, Angst has to fight hard. Fight hard for tempo, for space on the board, for each fraction of each second of a time advantage, fight bravely and fearlessly, fight no matter what. And then he has a chance. Do not let your compatriot down. Come to support him! Tonight one of the greatest Polish players, Michał Zajk, will fight in the WBC against the gomoku world champion and the WBC holder Zoltán László himself! The match starts at 20:00 Warsaw time. Michał is most known as Puholek, won the Polish championship in 2015, became a team world champion in 2016, and had a live rating as high as 1953. He has a reputation of a player who achieves highest results just from corner openings, neglecting to learn any theory. Puholek is not new to one-minute gomoku at all and was seeded in Pot 1 (top 16) in the WBC this season as well as previous season. His opponent Zoli is extremely strong. In addition to having won the titles mentioned above, he is perceived by the community to be the undisputed king of one-minute gomoku. Six out of seven WBC experts assessed him to be No. 1 for the purpose of the random draw after the group stage. Zoli hangs on Kurnik almost every day and happily accepts challenges from anyone, and he also proves to be an excellent trainer and mentor who helps, encourages, and motivates a number of rapidly progressing players. As usual, the match will be played on playok.com in the playing hall "Dobrocin." To watch the match, you have to come under a nickname by which we can recognise you, or talk to any of us in advance. We generally do not let guest and anonymous nicknames watch WBC matches in view of a few cases of position-related hints given by spectators in the table chats of past WBC matches, as explained above in this thread. In the Czech betting competition, Zoli put as many as 450 virtual crowns on not losing more than three games in the upcoming match against Puholek. Come watch the match and support your compatriot! Tonight two very interesting WBC matches will be played - at 20:00 Warsaw time we have an Estonian derby between Timo Ilu (Rentimo) and Tauri Purk (Euro), and at 21:00 Warsaw time Michał Zajk (Puholek) will fight against Adam Horvath (Anakinn)! 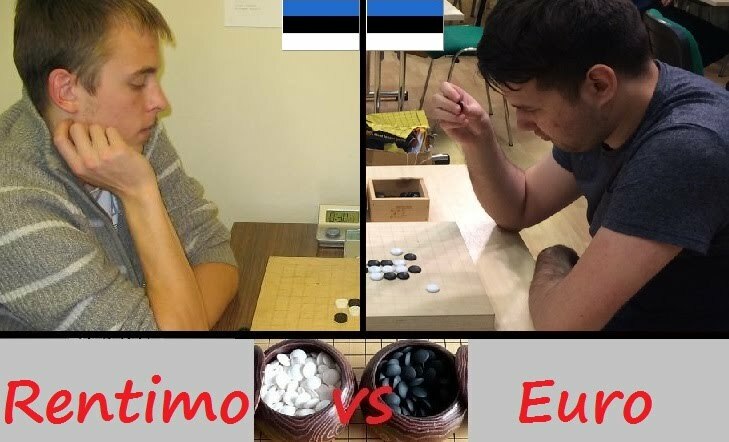 Estonia is a Baltic country known, in particular, for its strength in renju, being the current world team renju champion, and some renju players from that country are strong at one-minute gomoku, too. Tauri and Timo are exactly such players - for example, in the last WBC season Timo was able to eliminate such a strong player as Deafbat, while Tauri won his WBC group this season. At the moment, Timo and Tauri are the only remaining Estonian WBC participants, so it is highly symbolic that they are paired against each other to decide who of them advances further. The fate of the unofficial title of Estonian one-minute gomoku king will be decided in a direct encounter! Puholek and Anakinn represent Poland and Czech Republic, respectively, and are strong one-minute players, too. Anakinn finished in the top 16 last season, and Puholek is not new to one-minute gomoku either  he was seeded in Pot 1 (top 16) in the WBC this season as well as previous season. And Puholek had a live rating as high as 1953! As usual, the matches will be played on playok.com/en/gomoku in the room Dobrocin. The nicknames are wbcrentimo (Timo), wbceuro (Tauri), wbcpuholek (Michał ), and wbcanakinn (Adam). Come watch, and please do not forget to come under recognisable nicknames! A very interesting WBC match will be played tonight at 20:00 Warsaw time - Gergő Tóth against Adrian Czychowski! Gergő Tóth is an extremely experienced player with very deep understanding of the game and very strong fighting spirit and earned huge respect from the gomoku community as a player and organiser. He currently occupies the 2nd line on the world ranking list, and it is already the second year in a row that he holds the title of Meijin of Hungary. He is also very strong at 1 min, as the experts assessed him to be the 5th strongest in the WBC this season. Gergő is also known for his fighting spirit, and, in particular, was able to win the last Meijin match despite being 0.5-1.5 down against the current world champion. Adrian Czychowski is a very artistic and strong one-minute player. Last WBC season he earned the 4th place, beating such strong players as Michał Zajk (Puholek) and Valtteri Pulliainen (Fire), and impressed people by his play. This season Adrian performs well, and, in particular, won his group containing such a decent player as Łukasz Majksner (Usiek). The artistic nature of Adrian is reflected by the fact that he is a rapper and makes nice rap compositions. Ironically enough, last season Adrian and Gergő were in the same corner of the play-off tree, and that corner was won by Adrian, although they did not meet directly, and now they will have a direct encounter. Come watch this battle! As usual, the match will be played on playok.com/en/gomoku in the room Dobrocin. The nicknames are wbcgergo and wbcadrian. Do not forget to come under recognisable nicknames, as we kick guest and unknown nicknames out as a precautionary measure to protect WBC matches from bad behaviour such as giving position-related hints. The match has been postponed to approximately 21:00 Warsaw time. Tonight there will be a big Czech derby in the World Blitz Cup 2018 - Pavel Laube, also known as Kedlub, against Ondřej Nykl, also known as Ondik! The match starts at 20:00 Warsaw time. Kedlub is the current Czech gomoku champion and participated in as many as about 60 live tournaments shown on gomokuworld.com. He is by far the most prominent Czech in the aspect of success in the world championship as he won the bronze in 2009 as well as silver in 2013. His highest live rating is 1925, which shows his exceptionally good understanding of the game, and he is also a good organiser and took a huge responsibility organising the last world championship. His unofficial status in the Czech gomoku community, considering his role as a strong player and organiser, is well emphasised by his currently used playok nickname, kedluboss. Ondik is another true legend of Czech gomoku, and his highest and current live rating is 1956, achieved thanks to a very impressive streak of 11 wins in a row, the wins in the streak being against such strong players as, in particular, Bano, Kedlub, Peroxid, Gelo, Utratos, Iec, and Lomakin. With this rating, he was on the very top of the world ranking list before he was removed from there as a result of his prolonged period of inactivity - his last live tournament dates back to 2014. However, he still plays on playok.com at times and shows his impressive level. A real battle is expected, as both contenders are able to achieve a playok rating of about 2000-2100 by playing one-minute games, as evidenced by their statistics on the nicknames kedluboss and szczurkanalowy. Come watch the match! As usual, the match will be played on playok.com in the room Dobrocin. The nicknames are wbckedlub and wbcondik. Do not forget to come under a recognisable nickname as the organisers kick out guest and unknown nicknames as a preemptive measure to protect WBC matches from bad behaviour such as giving position-related hints. The most decisive phases of the WBC 2018 are rapidly approaching, and, like in the last season, many fans are expected to come to watch decisive matches and support their favourite players. And if you want to support a player in the heat of a match, the most effective way to do so is to type a strong phrase in his own language and in a way natural to his culture - this will trigger the desired emotions and associations in the most powerful way. So I decided to write an article to provide phrases that effectively work for Hungarians, Russians, Czechs, and Poles, as these nations form the Big Four in the gomoku world. I primarily used advice by Zoltán László (Zoli), těpán Tesařík (Peroxid), and Adam Wacławik (Okcthuner) to compose the Hungarian, Czech, and Polish sections of the article, respectively. The Russian phrases were chosen by myself, as I spent the first two decades of my life in Russia and perfectly know how to support Russians in the most effective way.